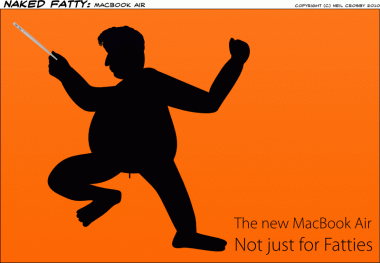 Last thursday, Apple announced the new MacBook Air, alongside a bunch of other stuff. It seemed like an appropriate thing to draw. I like what I did with Fatty’s hair.